It’s worth noting that the demo I played had no co-op to it, it was strictly a 10-minute single-player affair. 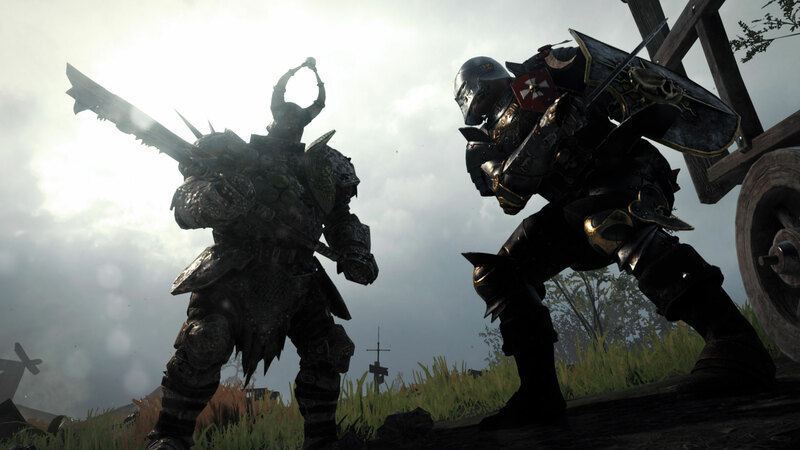 There were two playable characters (the Empire soldier, Markus, or the Waywatcher, Kerillian) and none of the progression or loot systems were available to try or even peruse. Despite this, there were a few things of note that made me more intrigued in this game; specifically, the way the two characters felt different from one another, and the possibilities that the career paths will present for each hero. The demo took me through a village that had been sacked by the Chaos hordes. There were some Skaven lurking about as well, but the main foes were the tattooed, armored Chaos Marauders. As opposed to the (nearly) one-hit kill masses of the ratfolk, the Marauders always put up more of a fight. Rather than just swinging blindly with a hammer or (in Kerillian’s case) a spear and felling dozens of these foes, you had to focus on one or two of them at a time and get in a few good hits before they’d go down. This may seem small, but it’s a pretty marked change from the first one. With a couple of exceptions, I felt that the six different character classes in the first Vermintide were all pretty similar when it came to combat. Sure, the dwarf could use a hammer and shield while the witch hunter used a rapier, but the weapons themselves never really stood out to me as being all that different. Now, when faced with a more durable enemy, it feels like there’s more of a distinction between them; not in the damage output, but in the way you’ll be engaging this new threat. In the first Vermintide, I usually opted to play as Kerillian as I was always a fan of Wood Elves in Warhammer. Thus, I naturally picked her for my first playthrough. Rather than the more distance focused archer that she was, this particular incarnation was spec'd into the “Shade” career path. She had a spear and repeating crossbow as her main weapons, and had two abilities that put her into more of a melee role rather than shooting from afar. Her passive ability allowed her to deal more damage when attacking enemies from behind, and her active ability could be used to “blend in” with the environment and become invisible (thus allowing her to sneak behind someone). Playing the game solo this particular build felt a bit off as it was clear that with these skills, Kerillian shines when the other characters are drawing the attention of enemies so she can stab them from behind. Unfortunately, the companion A.I. isn’t “smart” enough to be able to support this style of play, often waiting to engage enemies until I'd already gotten their attention and therefore I was stabbing Marauders in the front rather than the back. I made it through to the end of the demo and decided to try out Markus. The difference was almost night and day. Where Kerillian felt more like the kind of character where you’d wait for all your buddies to get right into the middle of the fray while you snuck around to attack from behind, Markus was all about walking up to the nearest enemy and slapping them in the face with a hammer. With the Chaos Maruaders' durability over the Skaven, that hammer felt like it had some real heft to it. Every time I charged up Markus’ swing and slammed the hammer into a Marauder, I watched with glee as they would just crumple to the ground. 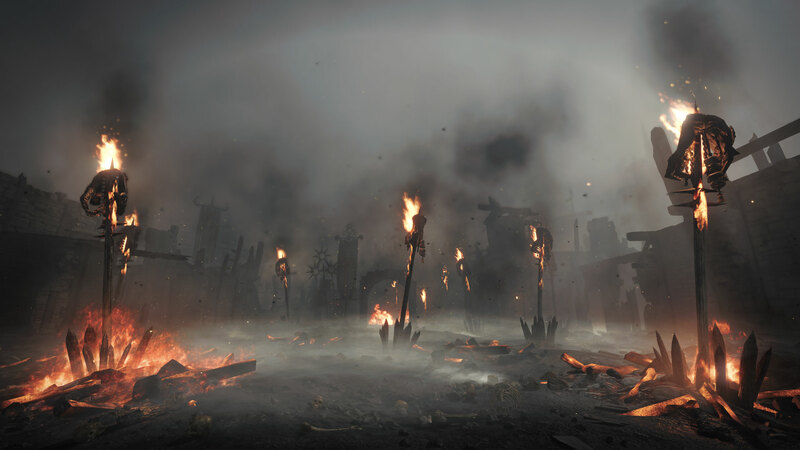 They were still alive, but being knocked down meant they couldn’t block incoming attacks or strike back. While this strategy didn't work against the Chaos Warriors, who are big, armored brutes that give as good as they take, the "Knight" career path for Markus gives him a kind of shoulder charge ability that knocks down any enemies he hits with it. Let me tell you, running into a pack of Marauders with a Warrior at the front and knocking them all down before (literally) dropping the hammer on them feels real good. Most of all, though, it felt different from Kerillian’s spear. There was a lot I liked about the first Vermintide, such as the different characters and loot system, but those same benefits had their drawbacks. 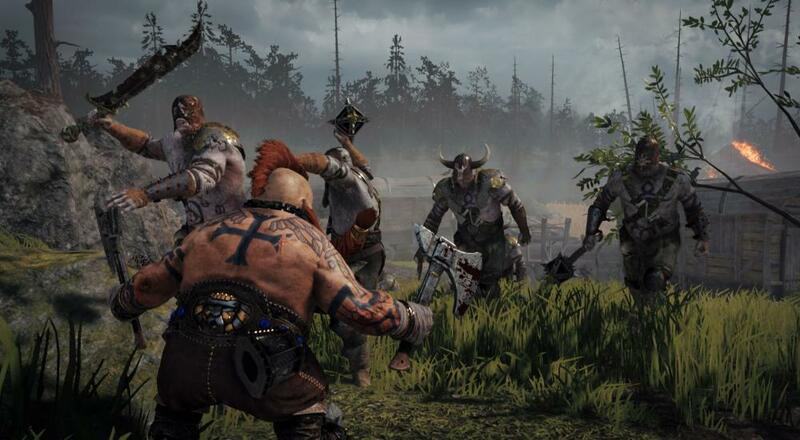 Though limited in scope, the Vermintide 2 demo gave me hope that at least some of those issues, like a better differentiation between characters, will be addressed. While I wasn't able to try different career paths for Markus or Kerillian, the little I played showed me there are some definite possibilities there to allow players to develop a character in a way that fits with their play style. The addition of the Chaos faction, too, feels like it will add more variety to the encounters as you’ll have to juggle between foes that are tougher, though fewer in number, and those that are many, but easier to fell. Hopefully, the forthcoming beta will have even more to show off from this promising co-op adventure.